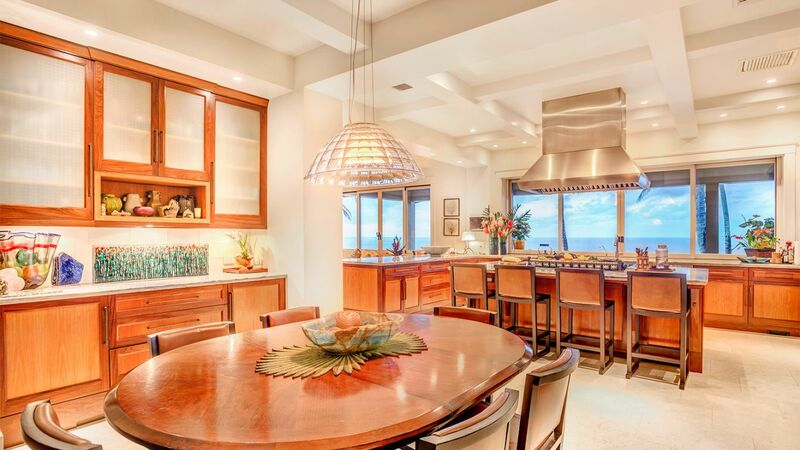 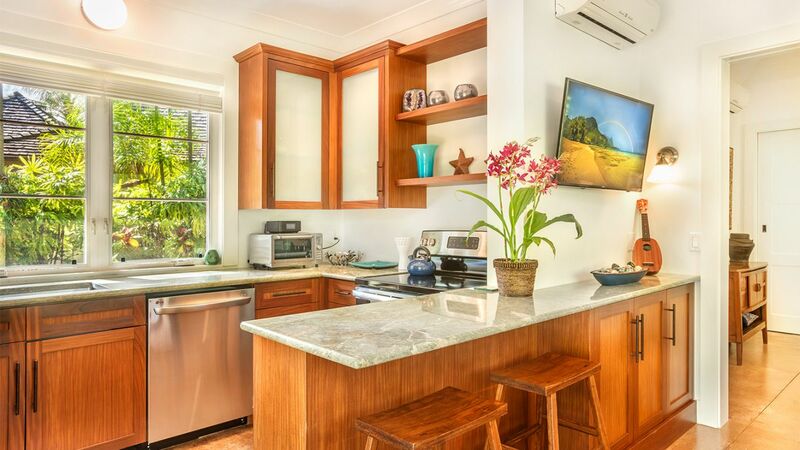 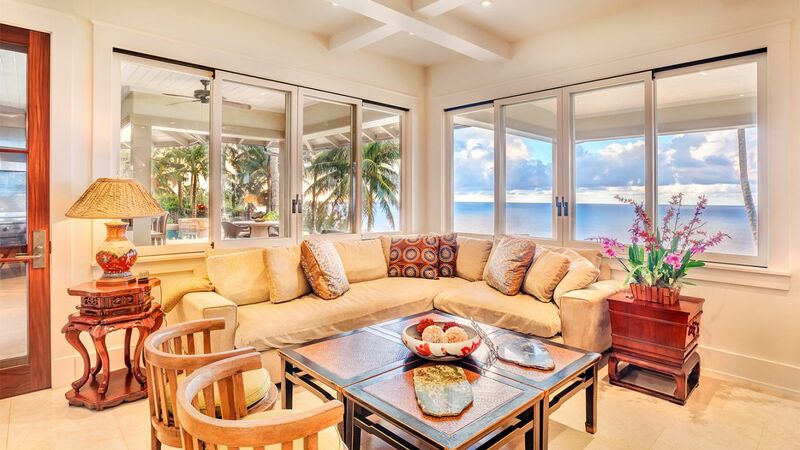 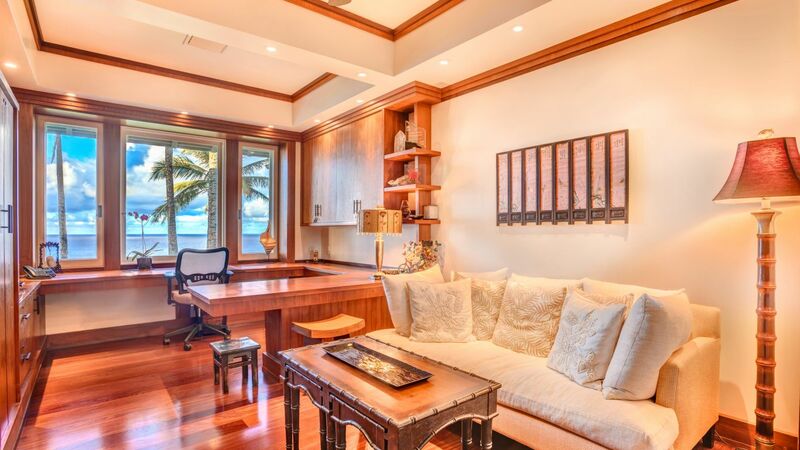 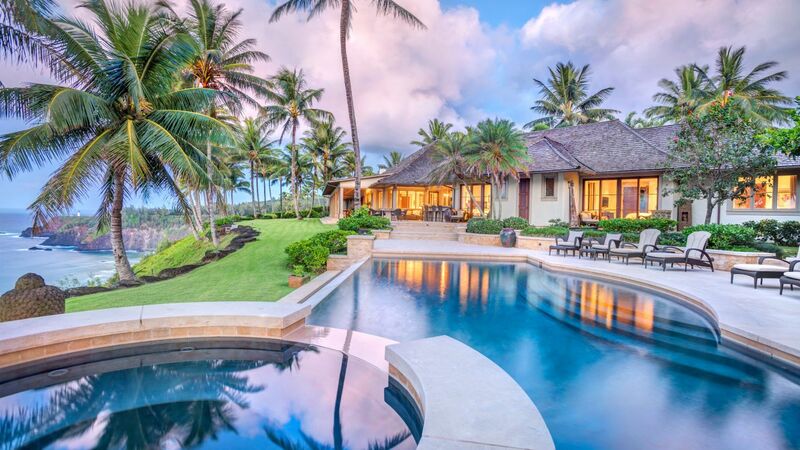 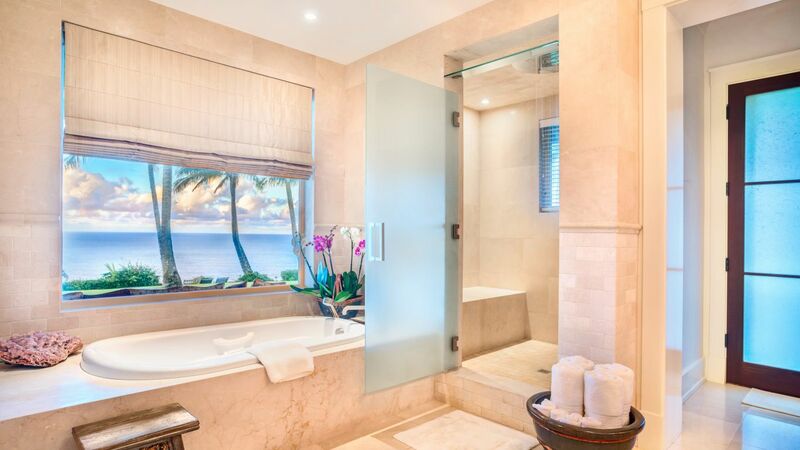 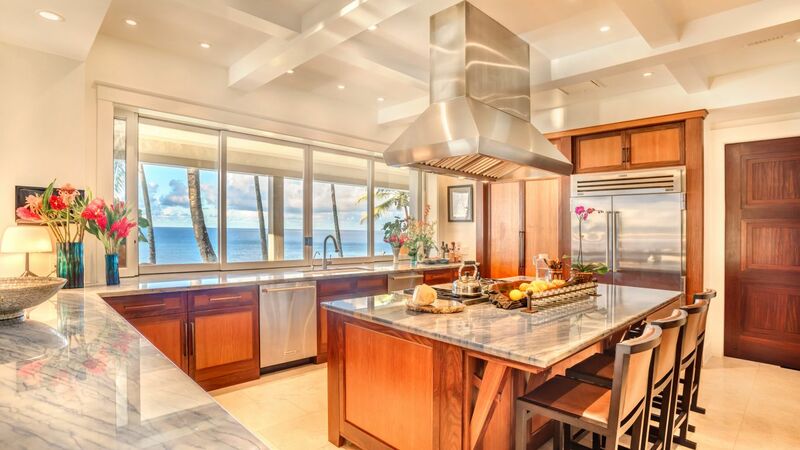 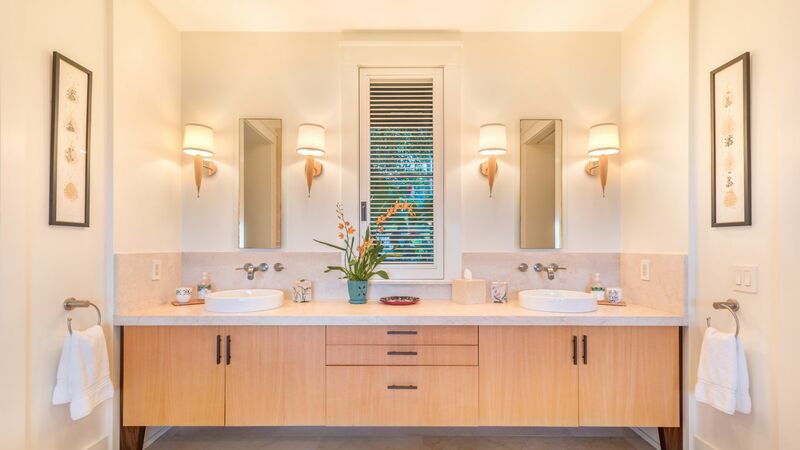 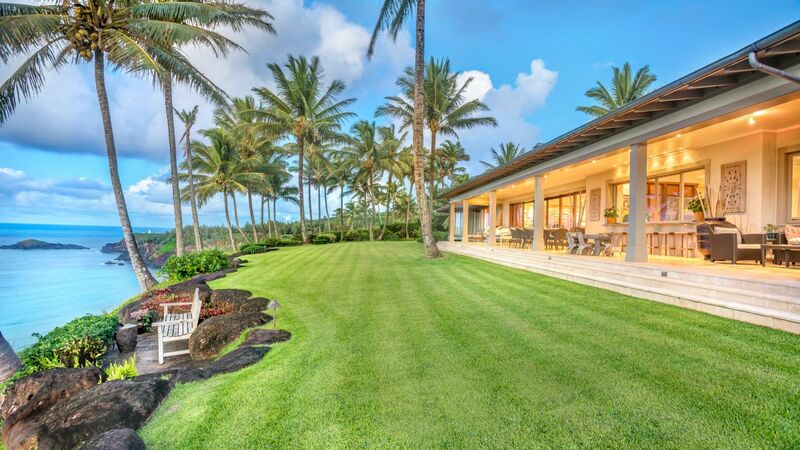 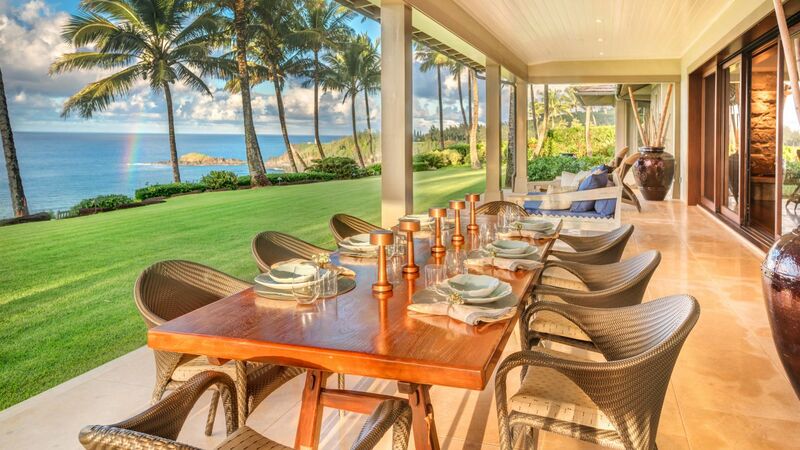 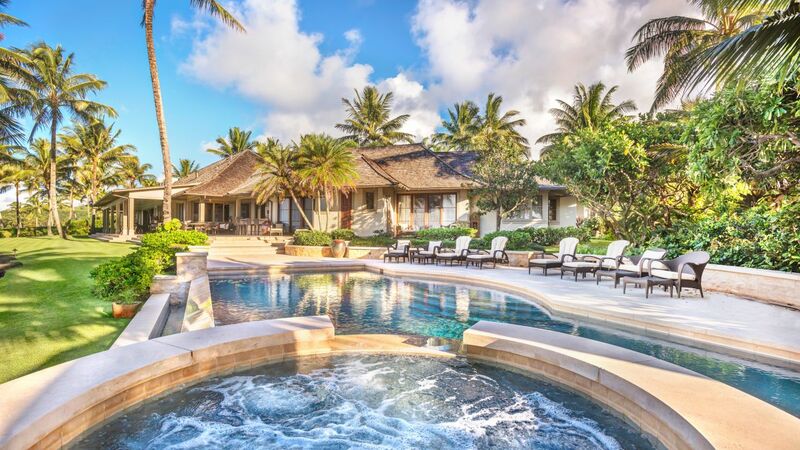 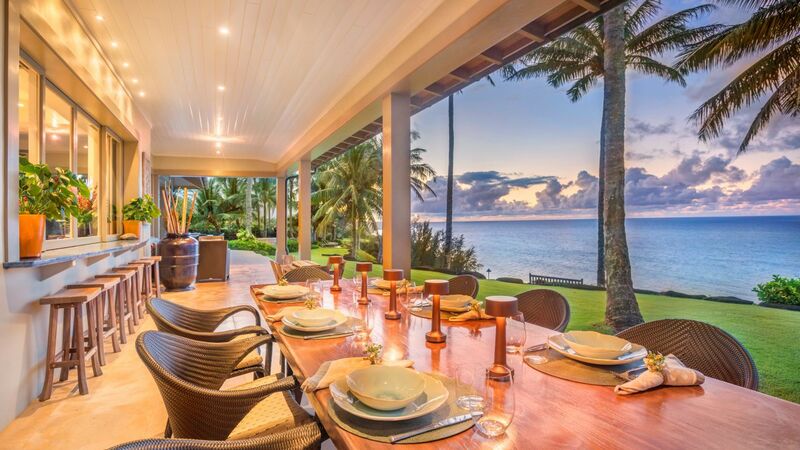 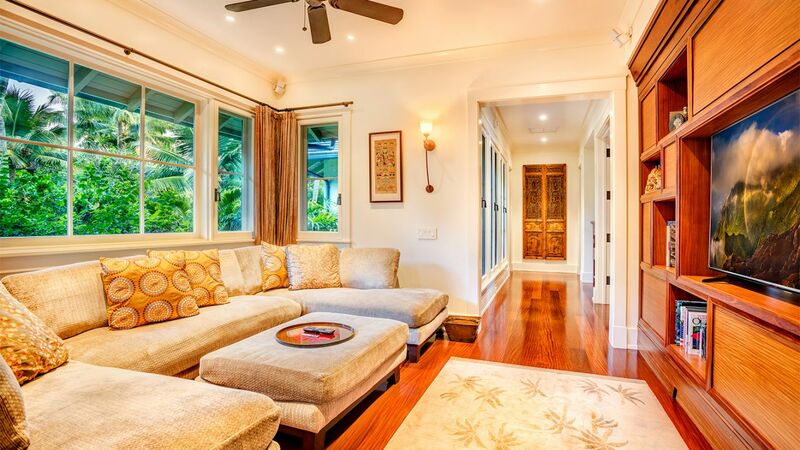 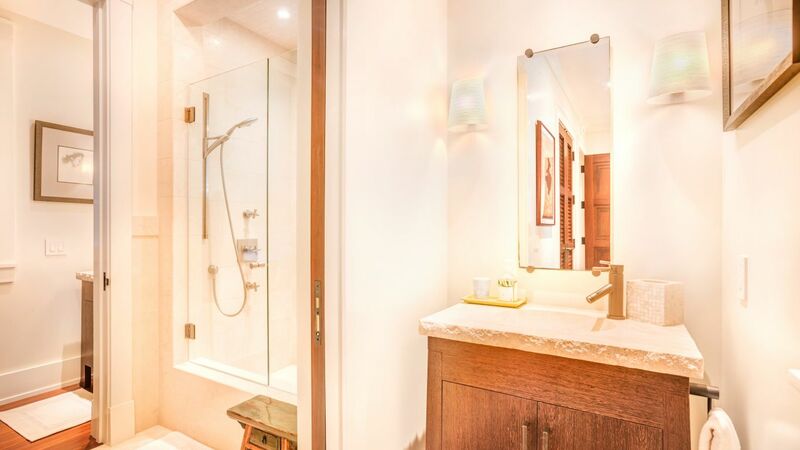 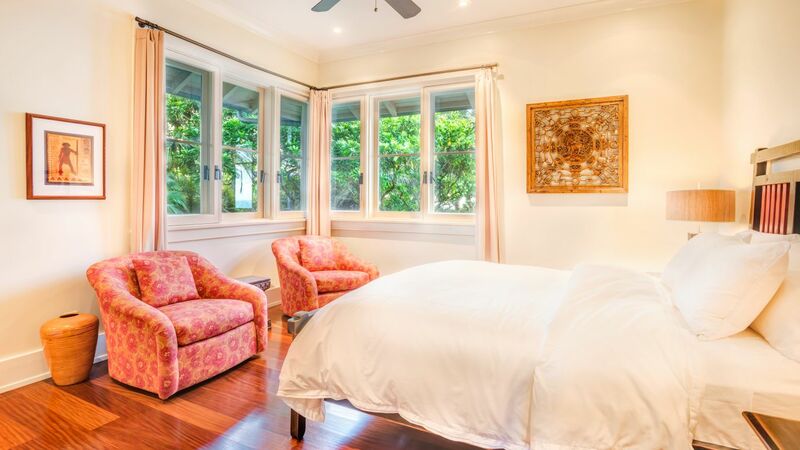 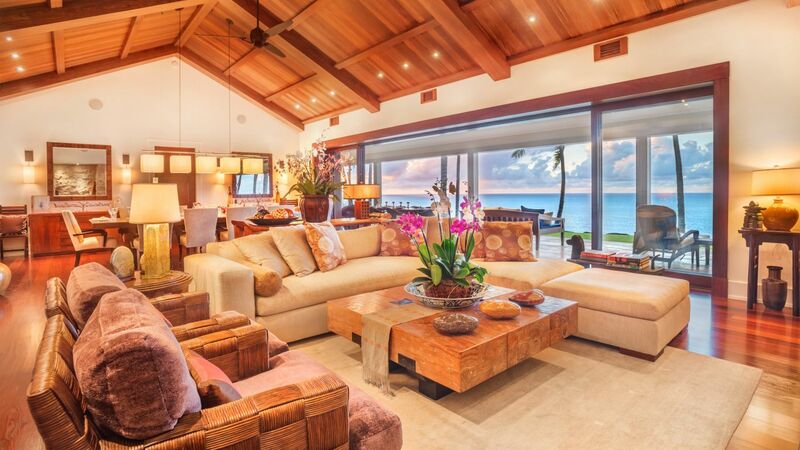 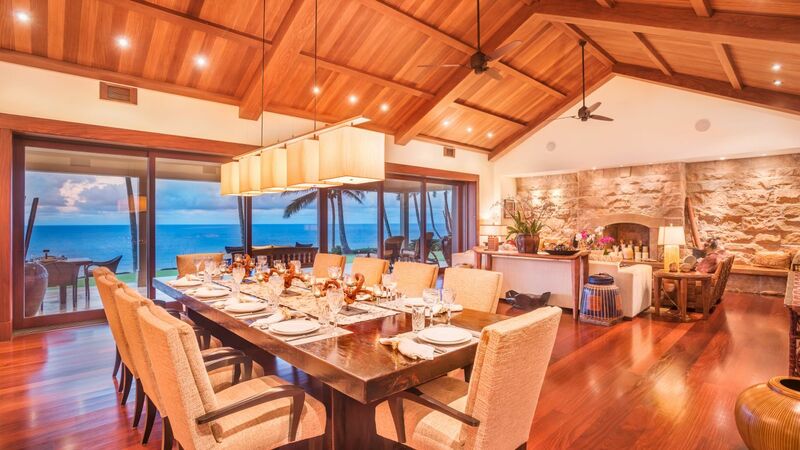 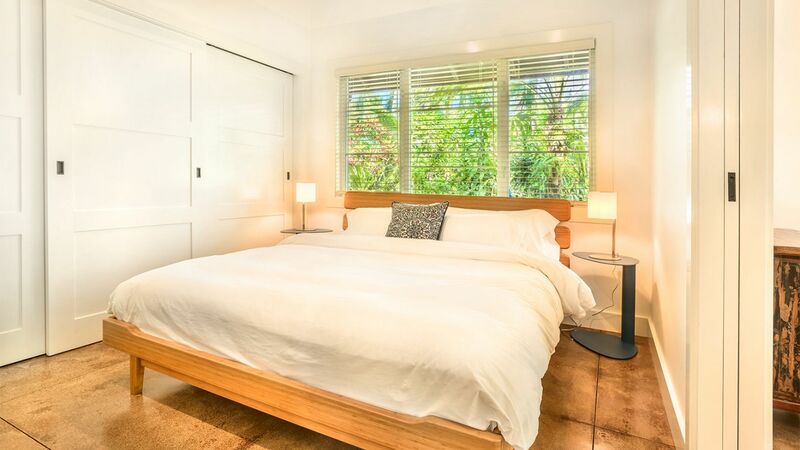 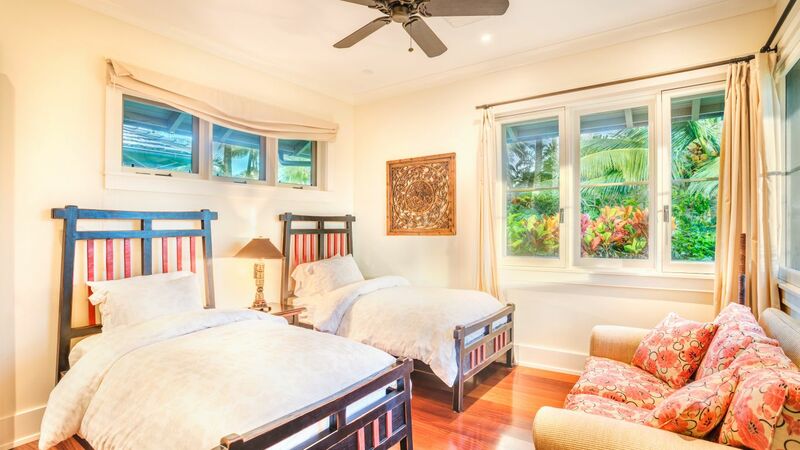 Villa Paloma is a classically styled villa on the North Shore of Kauai. 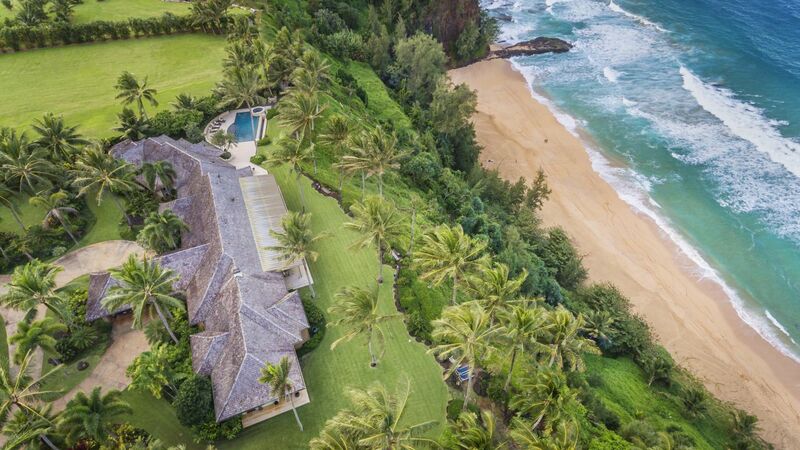 It is located directly above a semi-private spectacular beach, on two fenced and gated acres with 300 feet of oceanfront. 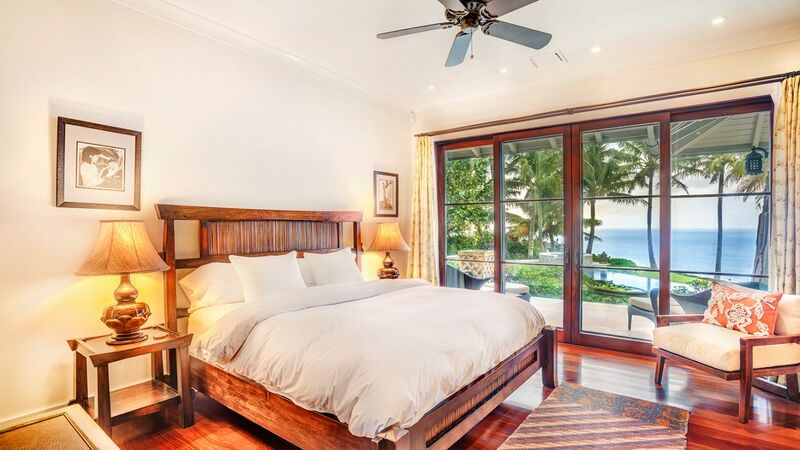 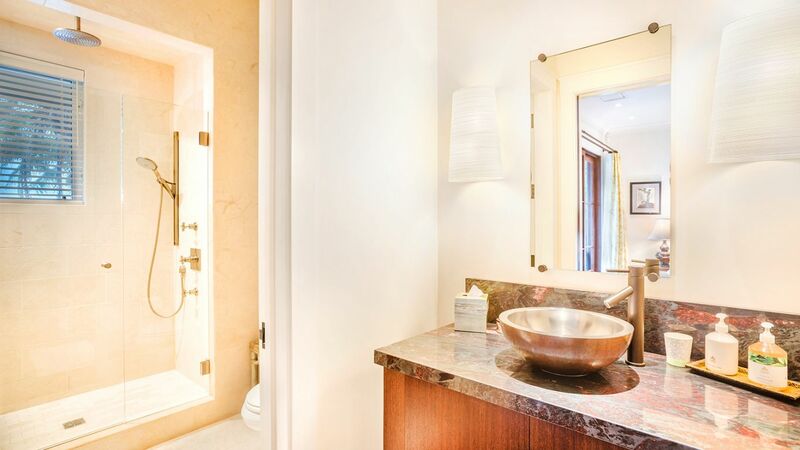 Inside, the home is air-conditioned, sleeps 10 people with five bedrooms, four bathrooms, and two powder rooms. 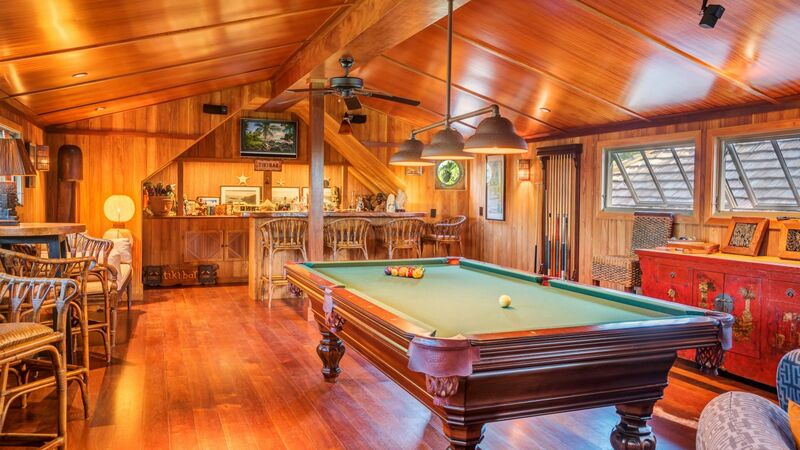 There is also an optional 1 bedroom/1 bathroom on the mountain side of the main house with a full kitchen. 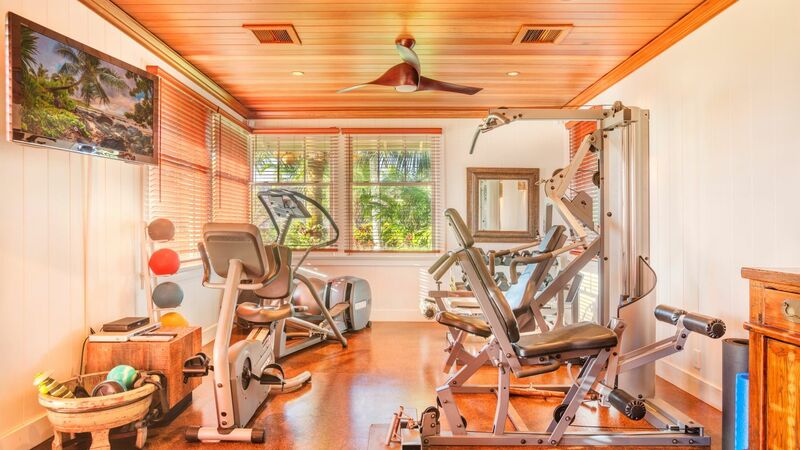 With a spacious interior, the home also boasts many other amenities, including a media room, a fitness center, a tiki bar, pool table, and wifi throughout the home. 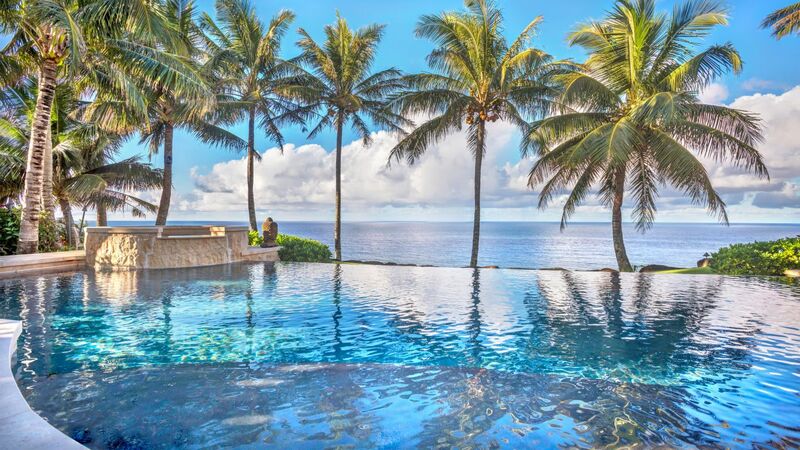 Villa Paloma also offers a well-kept lawn, a large pool, a jacuzzi, all with amazing views of the ocean and palm trees.